Note: the Deluxe Adjustable Bed is not returnable; be sure of compatibility before purchasing. Gadgetry meets luxury; this adjustable bed meets the requirements of Royal-Pedic's prestigious customer base. Choose from 'flat,' 'head up,' 'feet up,' 'head and feet full up,' or 'head and feet slightly up.' Royal-Pedic's Deluxe adjustable beds let you select a comfortable and convenient position for sleeping, reading, watching TV, working on your laptop, and other favorite bedtime activities. State of the art, ultra-quiet German rotary motor technology and streamlined industrial design ensure operation without waking up your partner. The construction additionally features an all steel support system, a 100% polarized, modular electrical system, and maintenance free motors to ensure long-lasting durability. 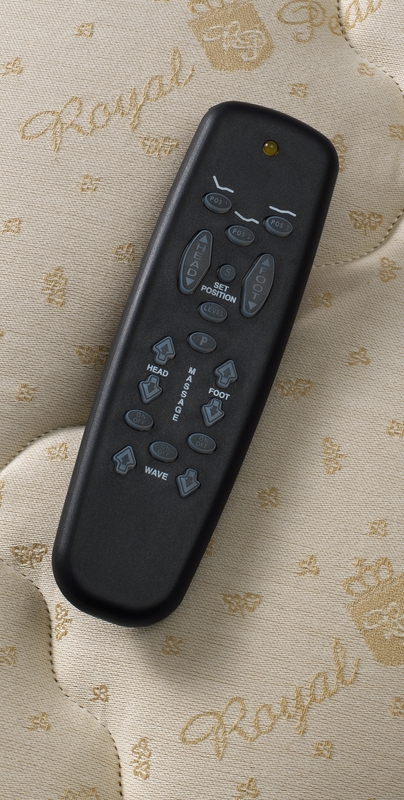 Standard features include an an illuminated, cordless remote control, dual vibrating massage units (upper body and lower body), as well as a bed lowering Headboard Hugger mechanism to provide for added versatility. The Twin XL, Full, and Queen beds feature a specially designed steel-coil box springs which contain up to a &frac38;" layer of polyurethane foam. The Eastern King and Cal King beds feature dual box springs. 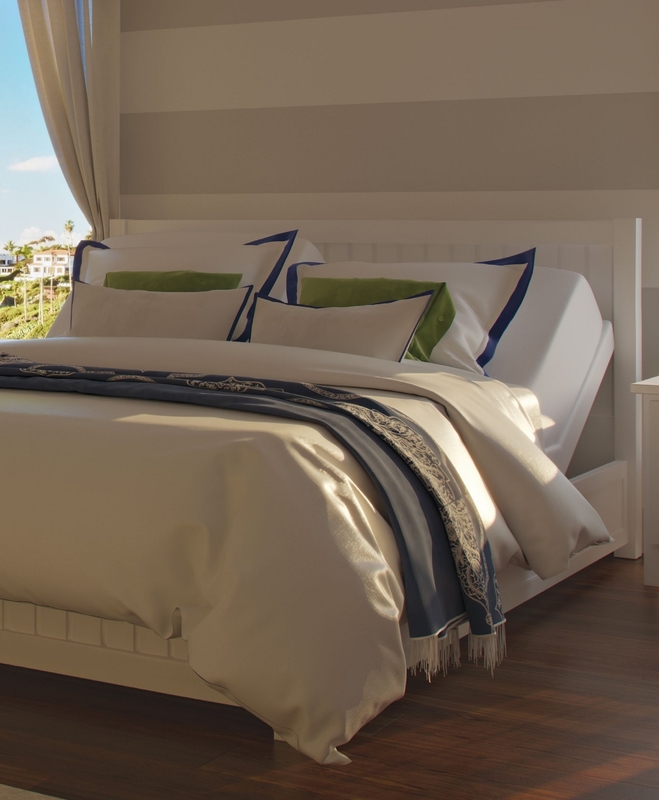 While these beds can theoretically be used to support and enhance any mattress, it is recommended that these beds be used in conjunction with one of Royal-Pedic 100% natural Talalay latex mattresses, as the latex flexes relatively well with the movement of the adjustable bed. The Royal Latex Quilt-Top is Royal-Pedic's standard recommendation. For those purchasing two Twin XL beds, we recommend the Royal Latex Organic Quilt-Top, an upgrade which is barely more expensive for those purchasing Twin XL beds. All the Royal-Pedic latex mattresses have cotton and/or wool wrap on both sides of the latex core; however it is generally pre-compressed and the surface is not likely to be as plush as it sounds like you are looking for. Your best best here would probably be the Royal-Latex Quilt-Top mattress (or the Royal Latex Organic Quilt-Top), with a 3" pillowtop pad. If you have a Royal-Pedic dealer near you, you may want to check what they have on their floor, and you may be able to test before you buy. Othewise, custom mattresses, with custom firmness, can also be custom ordered.